The 80s television throwback Saturday Morning RPG is coming to Nintendo Switch Spring 2018 both digitally and at retail. Boutique publisher Limited Run Games announced they personally will publish the physical copy, sold exclusively through their official website. Saturday Morning RPG from our development partner @TheMightyRabbit will be coming to the Nintendo Switch both digitally and physically in Spring 2018! Per usual of Limited Run Games, quantities of the retail copy of Saturday Morning RPG will be vastly limited. For those unconverted to Saturday Morning RPG, it’s a role-player that acts as an open love letter to, exactly that, Saturday Morning Cartoons. Among its homages include He-Man, Transformers, and the Care Bears franchises. That heritage to the golden 80s extends to the music from composers Vince DiCola (Transformers: The Animated Movie) and Kenny Meriedeth (DuckTales). 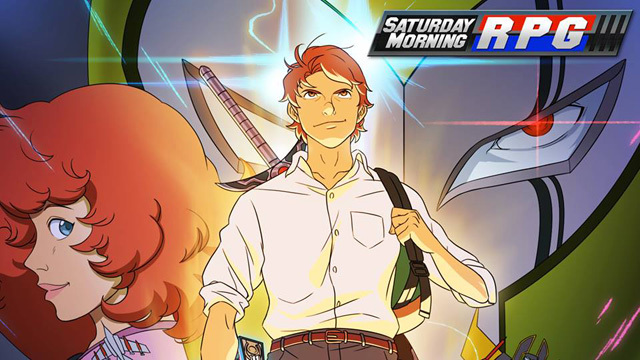 Saturday Morning RPG originally launched in 2012 for iOS and has since appeared on Android, PC, and PlayStation platforms. A Switch port was previously teased in November when the game’s lead designer tinkered with it running on the console, with no port promises attached. Decided to try porting Saturday Morning RPG to the Nintendo Switch to learn the ins and outs of dev. Surprisingly smooth and easy!